The adoption of virtual assistants is greatly going in trend. It’s highly impossible to overlook the AI-controlled assistants being used in gadgets. From arranging days, booking and ordering, technology has transformed to showcase amazing progress. The trend concedes to be in its initial phase and requires time to figure out the facts from the hype to understand the exact worthiness of the technology. Some of the most popular AI assistant racing for attention: 1) Amazon (Alexa), 2) Apple (Siri), 3) Google (Google Assistant) and 4) Microsoft (Cortana). 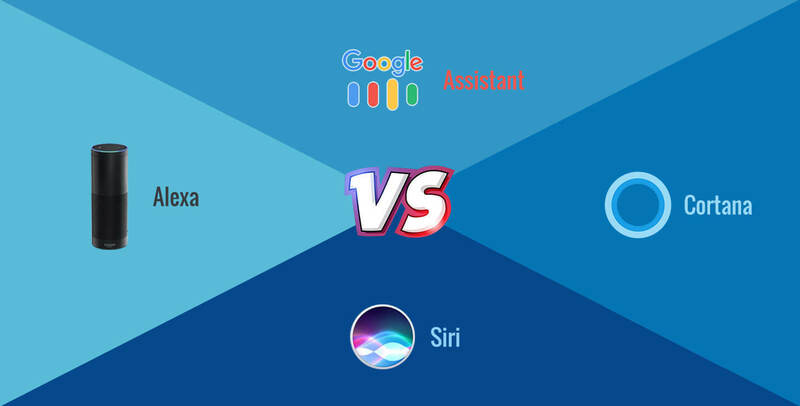 Let's have a wholesome discussion on the basic functionality of these popular Virtual assistants, it will help you determine which can be preferred to meet the standard requirement. Amazon's savvy assistant is available through the Amazon Eco line of the speaker. Additionally, accessible via Amazon's line of Fire TV and Fire tablets. Other gadgets supporting Alexa includes, the guess women's connect smartwatch and Huawei Mate 9. Likewise, there is an Alexa application, works as the supplement to another Alexa gadget. Over time, this AI-based Assistant and Chatbot Development Services will grow with much stronger innovative and compelling integrations to flawlessly fit business specifications. All things considered, it is advancing towards more gadget and more devices, and there is also an accompanying mobile application. There are some ways to enable skills on the Amazon Echo, and this can help based on the type of device user is having. Gradually, there has been a gradual advancement in Siri. Accessible on nearly on iOS gadgets including MAC, latest Apple TV, desktops, phones, and tablets. it is not available on any third-party speakers. Apple is all set to bring the head to set a voice-controlled assistance on a phone. Upgraded from more astute and smarter. For instance; users can request Apple TV to pull up a live stream within Apple TV apps. This great voice assistant action makes Siri beat for Mac and iOS customers. Well, launching Siri is easy, the user just needs to hold down the home button for few seconds till microphone icon appears on the display. Available on all Android, iOS devices, and Chromebooks, the Google's AI launched in 2016 with Google Home, Eco contender and Allo (messaging application). Google has its own line of Google Home speakers built in accordance with Google Assistant. You can find Google Assistant on many third party smart home speaker. Google Assistant is ensuring future as it takes off to more handsets, having initially been Pixel selective. It's operating is very much similar to Cortana or Siri, like charge up information and accomplish tasks like addressing directions or directing on Spotify. Presented in the year 2014, Microsoft addressed Cortana as a digital agent. It was aligned in its ecosystem community from the skype to Xbox to LinkedIn. This powerful AI personal Assistant allows accessing better and intuitive results, with its intriguing functionality. Some of its core deals include weather information, managing calendars and even receiving diction on an email. Cortana likewise works with Apple's iOS gadgets and Google Android. In order to render the user a friendly search, Microsoft implemented Cortana in the Edge web browser. For instance, it allows smooth access to combing for discounts or booking seats and similar tasks. As we know, AI assistants are new technology onboard and will require time for maturity. However, when it all about convenience, picking between Siri and Google Assistance. Therefore, analyzing different categories, we can conclude that the best choice is the one that prevails in the categories most imperative needed in the ecosystem. Though with the fast pace of development enterprises must be careful while investing in the AI technology.